A wonderful countryside community castle. 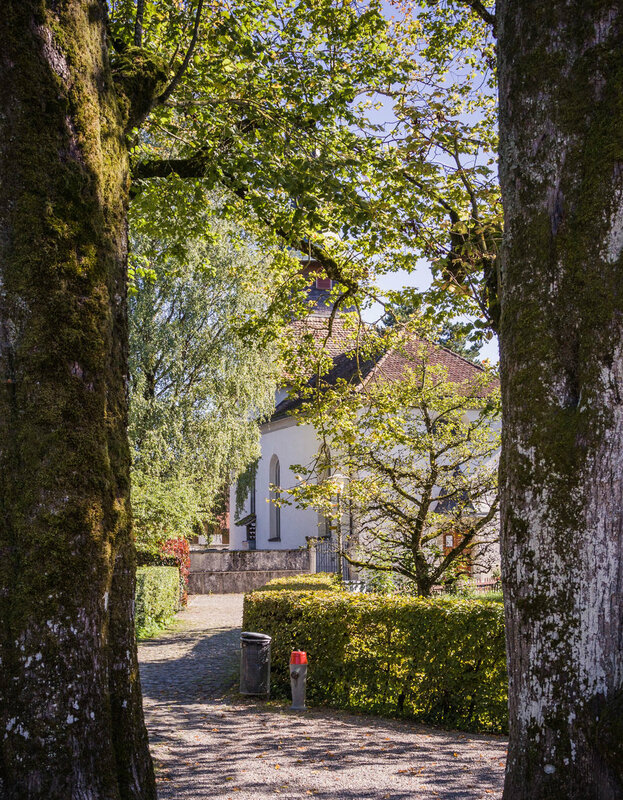 It’s a picturesque drive up the winding country roads that lead to the small community of Kyburg where the Castle stands overlooking the Töss River. 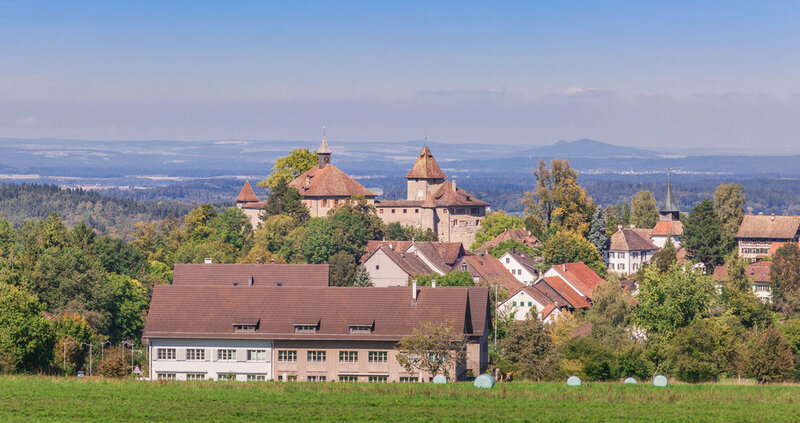 Located some 3 Km south-east of Winterthur, Kyburg is one of the best know castles in the region and is a Swiss heritage site of national significance. The castle grounds are well managed and you can walk around the outside of the castle walls without paying any entrance fees. 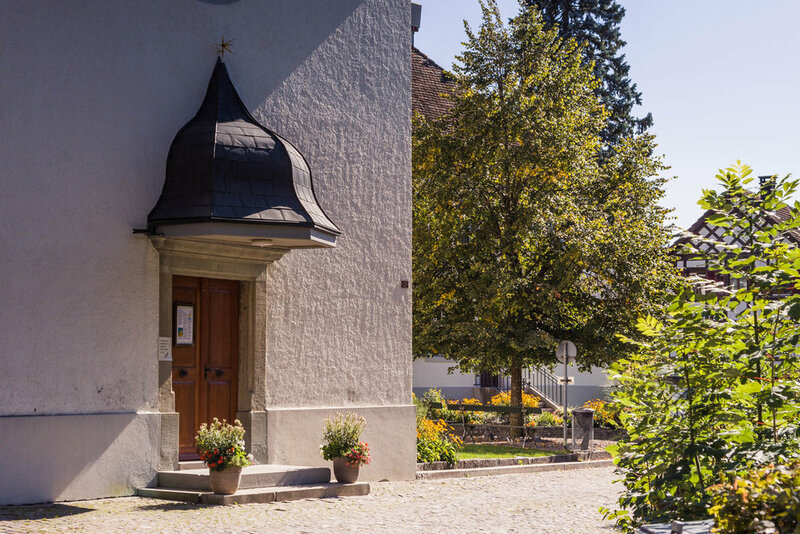 Kyburg is more like a village and there are a number of charming homes with beautiful gardens. The view from the tower overlooking the village below is also very picturesque and if you visit in the fall season the colors will be even more beautiful. 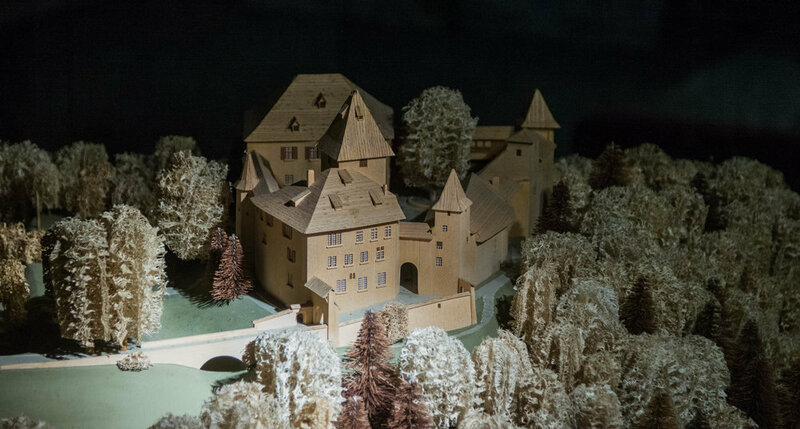 The castle has been open to the general public since 1865 and is the first castle museum in Switzerland. 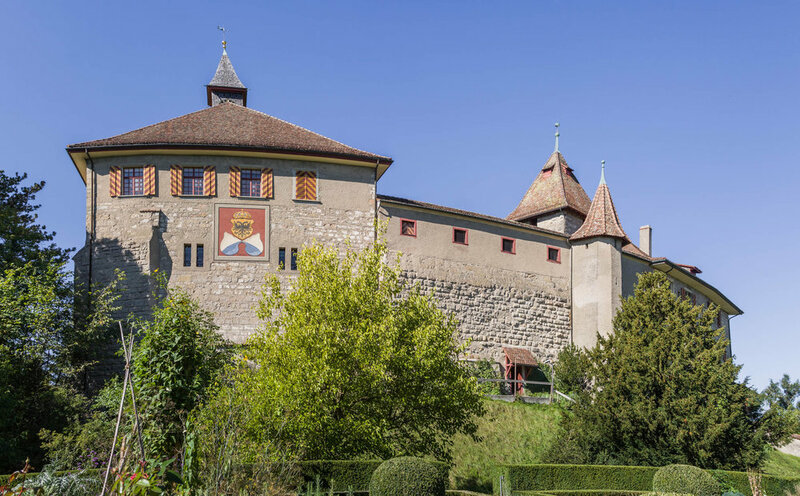 It was taken over by the canton of Zurich in 1917 and was run as a museum till 1999. 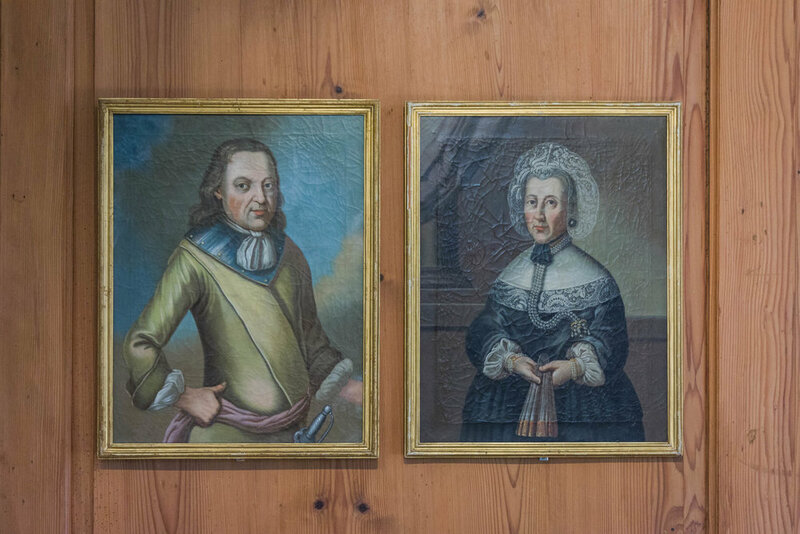 Since then the museum is run by the Museum SchlossKyburg Society. 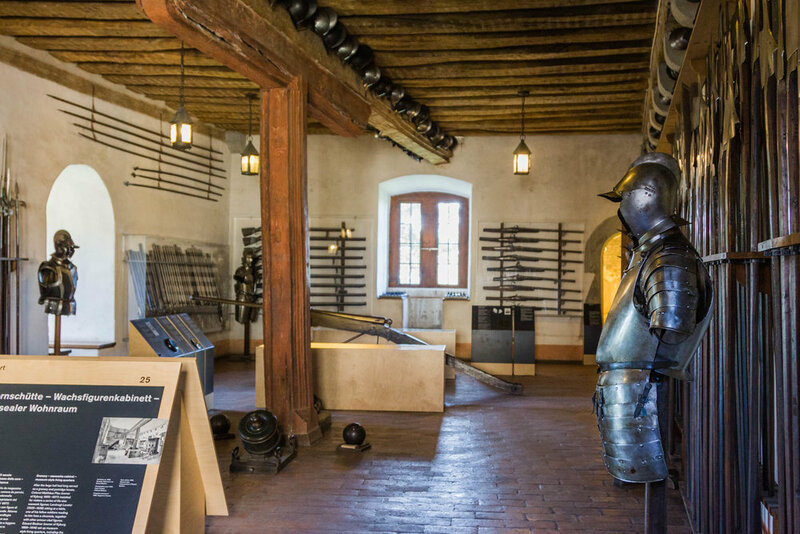 The castle is visitor friendly, has plenty of rooms to visit, including an armory, dungeon, courtrooms, castle chapel, shop and small restaurant. The museum is great for kids to explore and discover, with many informative activities, descriptions and explanations of many of the objects, paintings, tools and other items. There are public tours that are posted on the website for people who would like to learn more about the castle. This castle is great to visit with the children. There are lots of rooms to explore with displays and interactive attractions for the kids to help learn more about castle life. 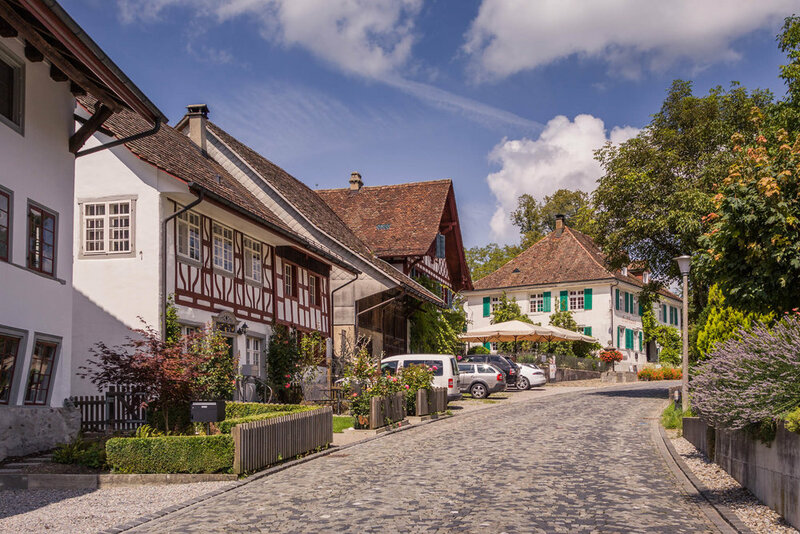 Kyburg village is also very charming and the walk up to the castle is also very pretty. The first fortification at this site was likely built in the second half of the 10th century by the counts of Winterthur. The early castle was destroyed in 1028 or 1030 by emperor Conrad II. It was rebuilt and soon became the center of the county of Kyburg which was formed in 1053 as a possession of the counts of Dillingen. In 1079, during the Investiture Controversy, the castle was attacked and partially destroyed by Abbot Ulrich II of St. Gall. By 1096 the counts of Dillingen included count of Kyburg as one of their titles. By 1180, the counts of Kyburg emerged as a cadet line of the Dillingen family. 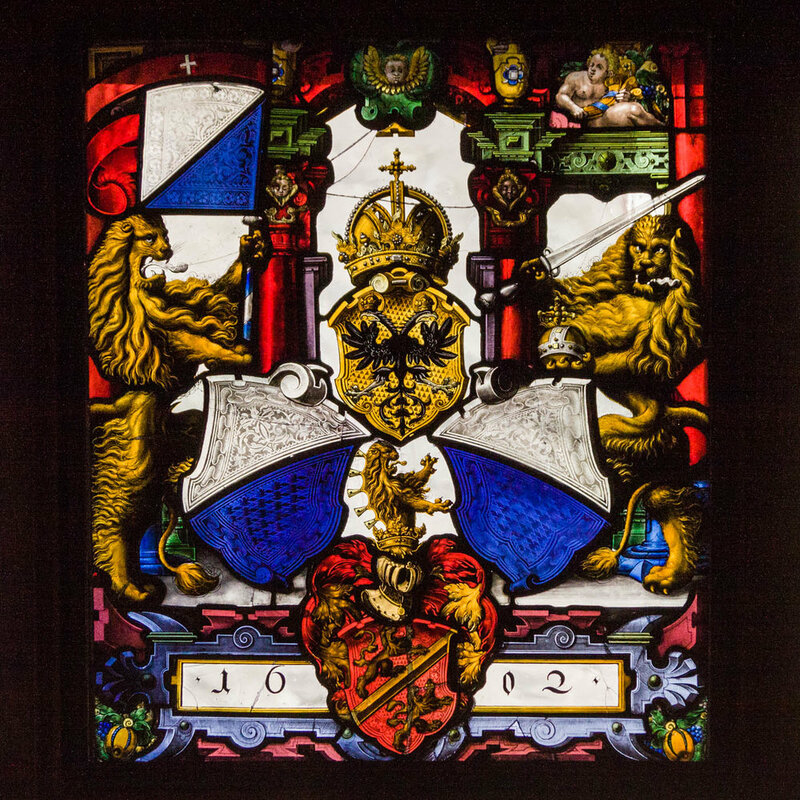 They rose to be the most important noble family in the Swiss plateau beside the Habsburg and the House of Savoy by the 13th century. After the death of the last count in 1264 Rudolph of Habsburg claimed the inheritance for his family. With one interruption the Imperial Regalia of the Holy Roman Empire were kept in the castle between 1273 and 1322. 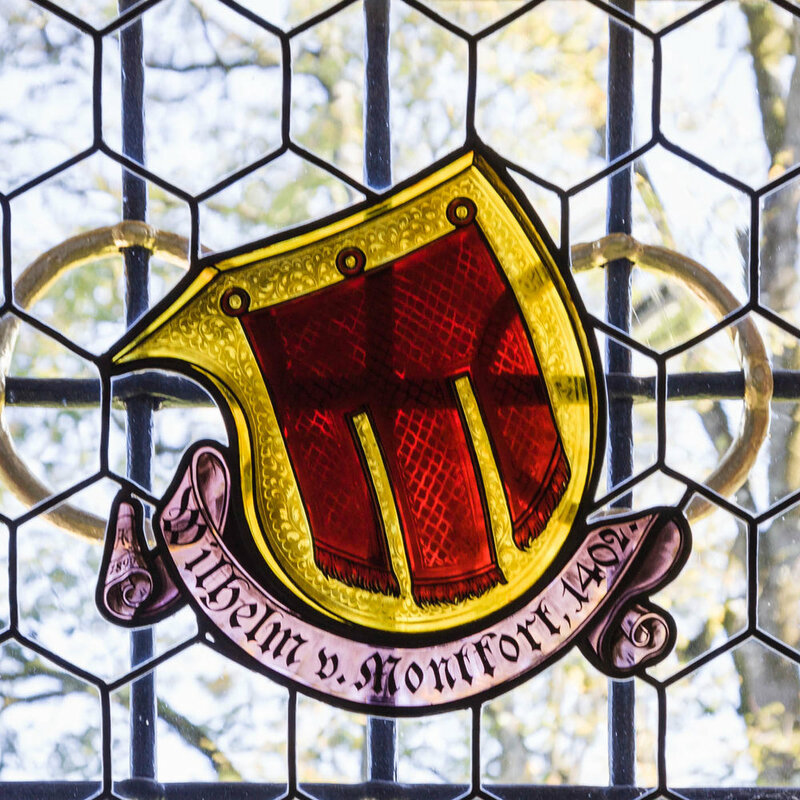 The castle is open to the general public during opening hours. Called "eiserne Jungfrau" in german, this torture instrument is one of the castles more famous attractions. 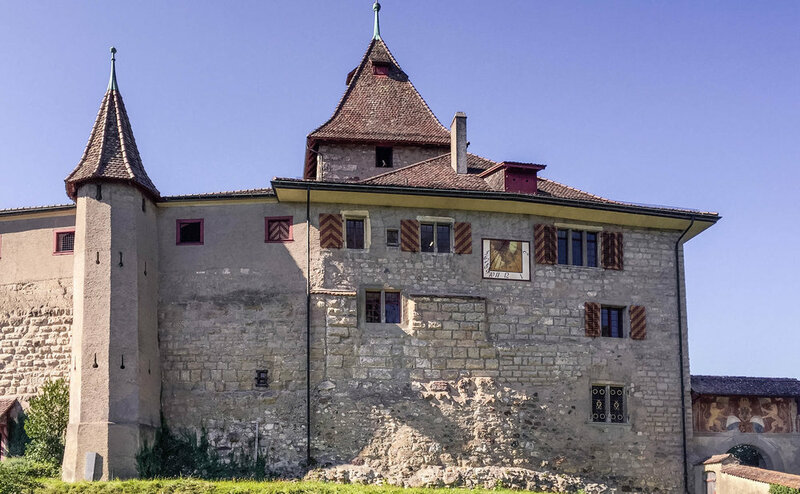 However it’s not from the middle ages and was purchased by the owner of the castle Matthäus Pfau who wished to attract more visitors to the castle. It was exhibited for a long time in the torture chamber, however now it is located in the attic. It's a wooden structure that is covered by a thin iron covering and the spins are also wooden pikes covered with iron. This maiden was more for show than torture as are all other iron maidens. 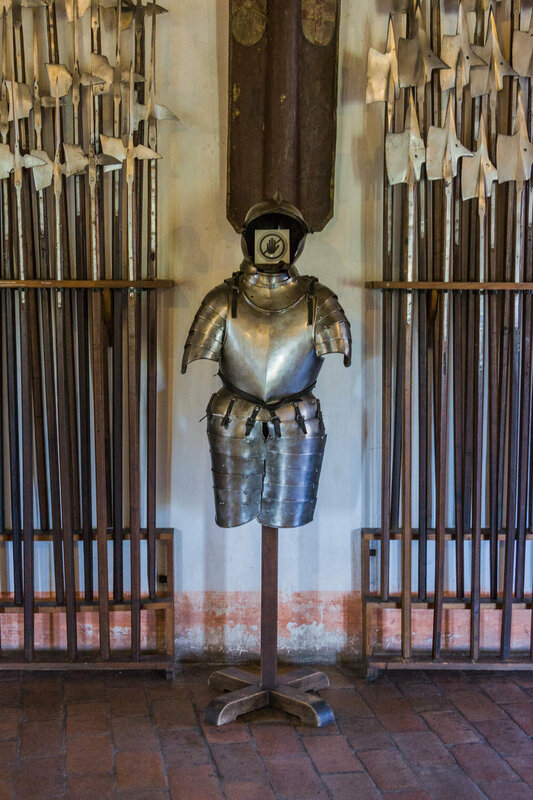 These instruments of torture are a fictional and where never used in the middle ages. Many of the the windows and doorway niches have been beautifully painted and in some instances look like magical portals. The colorful designs and details could in some way remind some of “The Doors of Moria” from the Hobbit. 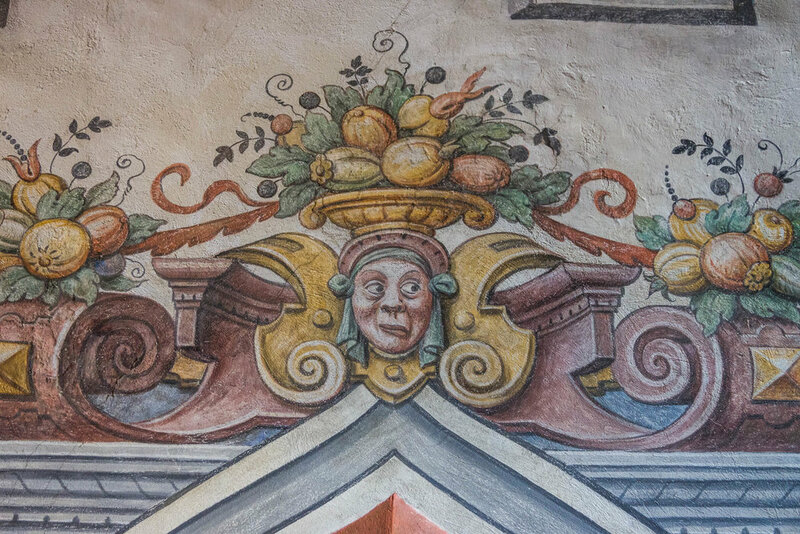 Who knows what fantasies come to mind when you walk through the different room and see so many painted niches, are there different worlds that could be opened by a magical spell. 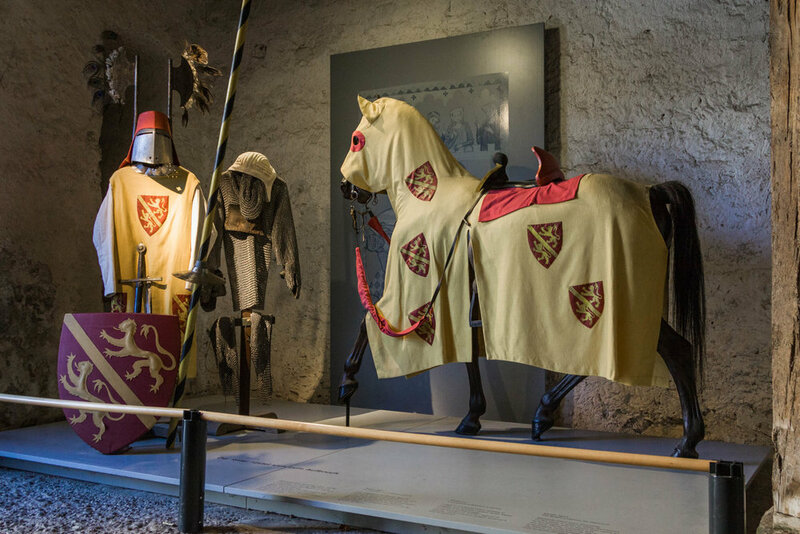 There are a number of expibitions and interactive displays that can be discovered as you tour the castle museum. A great deal of attention has been given to explaining the different rooms and their contents. Lots of passageways, stairs and hidden rooms to discover. The view from the tower exposes the strategic value of the location with a panoramic view of the surrounding landscape and the alps on the horizon.